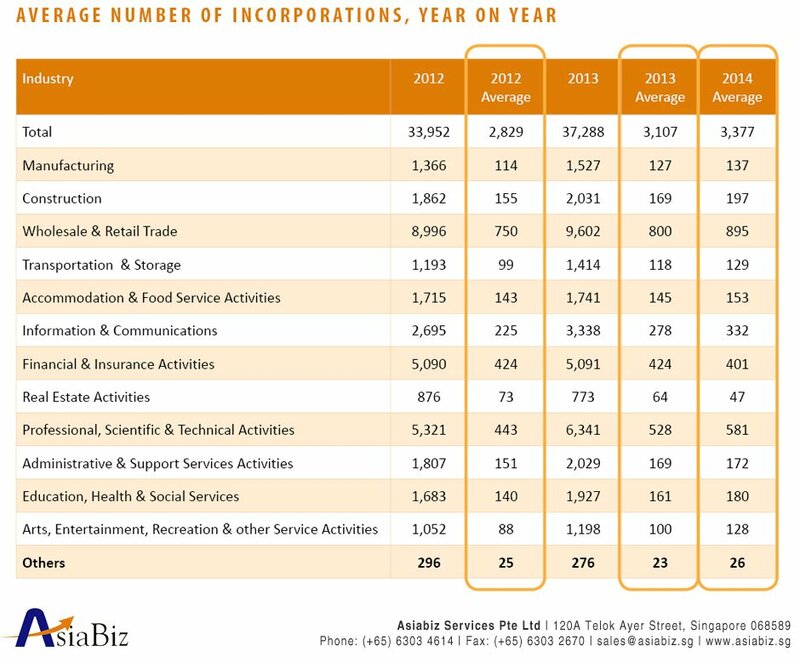 Compared to the average incorporations in 2012 and 2013, the top industries have remained the same. Most industries, except the financial & insurance, real estate and other sectors, have seen more incorporations per month between 2012 and 2014 so far. The financial and insurance services sector has seen a slight dip in incorporations. This could be attributed to higher compliance requirements effected in the financial services sector as part of Singapore’s efforts to crack down on money laundering and terrorism financing activities. 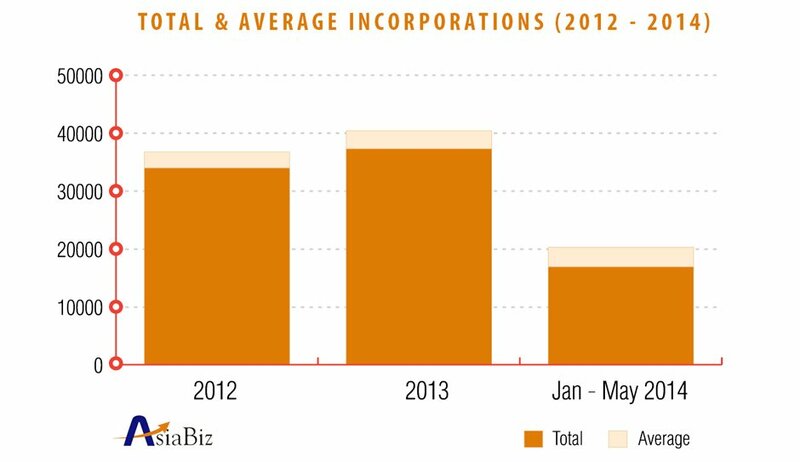 Based on the Singapore Company Formation Registration Trends, company incorporations in Singapore has grown year on year, signalling confidence in the city-state as a jurisdiction to operate from. To find out more about incorporating a company in Singapore, click here.